Great Fun While Promoting Your Brand. Believe it or not, getting a temporary tattoo or fake tattoo is one of the best and most creative ways available to promote a business. In fact, it’s so effective that it’s even being used to drive support for a cause or charity, raise money, and entice school spirit. Stick on tattoos are also all the rage in world-renowned sports such as football and basketball. As you can see, there are many great reasons for people to get novelty tattoos – so much so that businesses are presently looking to the advertising tattoo as the next big thing in terms of marketing campaign giveaways. It can even serve as a sign of allegiance and loyalty among your customers as well, which should in turn promote unity between businesses and their consumers. In particular, New Zealand residents are in luck, because their island country is home to the best custom temporary tattoo manufacturers in the world. Earth First Printing – NZ provide temporary tattoo packages that are among the most cost-effective ones you can find on the worldwide web, so it’s in the best interest of small businesses around the globe that want an inexpensive alternative to a full-on marketing campaign to look into Earth First for their advertising needs. Although temporary tattoos arguably defeat the purpose of getting a tattoo, it’s still a very popular gimmick that businesses love to use for the sake of creating brand awareness among its targeted demographic. Consumers love getting custom temporary tattoos because they’re cute little novelty items that you needn’t take too seriously, like t-shirts, party balloons, or mouse pads. Furthermore, the choice of getting a custom temporary tattoo is a relatively easy one to boot. Consumers who are very faithful to your product brands or company will even go out of their way to buy these items from the get go, so they’ll of course appreciate companies who regularly give away their custom-branded stick-on tattoos to their most loyal customers. In any case, the marketing departments of most any given company must take note of the following issues and considerations before going about their temporary tattoo promotional program. First off, design is important. 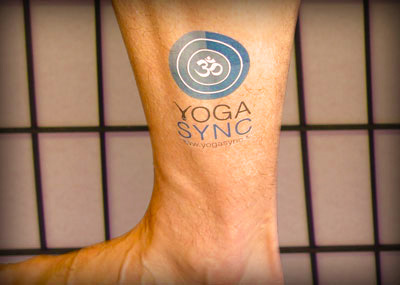 Sure, you can just stick your logo into a temporary tattoo pack, but by adding due effort to the overall design, you’ll be able to make this promotional item a lot more appealing and effective than before. What’s more, you need to make sure that you only use safe, non-toxic, and easy-to-apply (and remove) materials for your tattoo. Also, keep in mind that the target demographics for this novelty item include sports teams, school groups, and children. Lastly, you need to find out beforehand what quantity of tattoos you want to order for your marketing giveaway program. Ordering quality silkscreen tattoos requires a minimum order of one thousand units. There are also companies (NZ-based ones chief among them) that offer quantity discounts at five thousand pieces, ten thousand pieces, and so on. After thoroughly cleaning and drying the area of skin where you would like to place the tattoo, peel off the clear plastic protective layer from the face side of your tattoo. 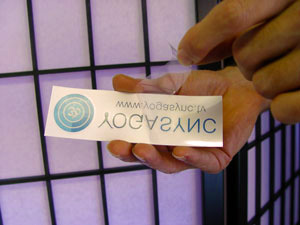 After peeling the protective plastic layer of your tattoo, carefully place the tattoo on your skin face side down. At this point ensure the top of the tattoo is facing up. Repeatedly push your tattoo down onto your skin using a moist paper towel. Repeat this several times to ensure your tattoo will transfer to your skin. After waiting a few few minutes very carefully and slowly peel the tattoo backing off your skin and there you have it. Your own temporary tattoo. If you wish to remove your tattoo, rub gently with some medical alcohol wipes or house hold dish washing liquid. Otherwise your tattoo will gradually fade and wash off after a 4-7 days.